Skeptical? For starters, because of its unique design the H8 is the only machine in its price class that offers full system integration yet, with just 4K of optional memory and using only its “intelligent” front panel for I/O, may be operated completely without peripherals! In addition, by using the features of its built-in Pam-8 ROM panel control program, the H8 actually allows you to dig in and examine machine level circuitry. Responding to simple instructions the “intelligent” panel displays memory and register contents, lets you inspect and alter them even during operation. And for greater understanding, the front panel permits you to execute programs a single instruction at a time. The result is a powerful, flexible learning tool that actually lets you “see” and confirm each detail of H8’s inner workings. If you need further evidence, consider the fact that H8’s system orientation allows you an almost unlimited opportunity for growth. Memory is fully expandable, the 8080A CPU extremely versatile, and with the addition of high speed serial and parallel interfacing you gain the added flexibility of I/O operation with tape, CRT consoles, paper tape reader/punches, and now our new floppy disk systems! The H8 offers superior documentation including complete step-by-step assembly and operation manuals, is backed by 54 years of Heath reliability, and comes complete with BASIC, assembler, editor, and debug software — others charge over $60 for! H8, simplicity for the beginner, sophistication for the expert and at $375* just right for you. 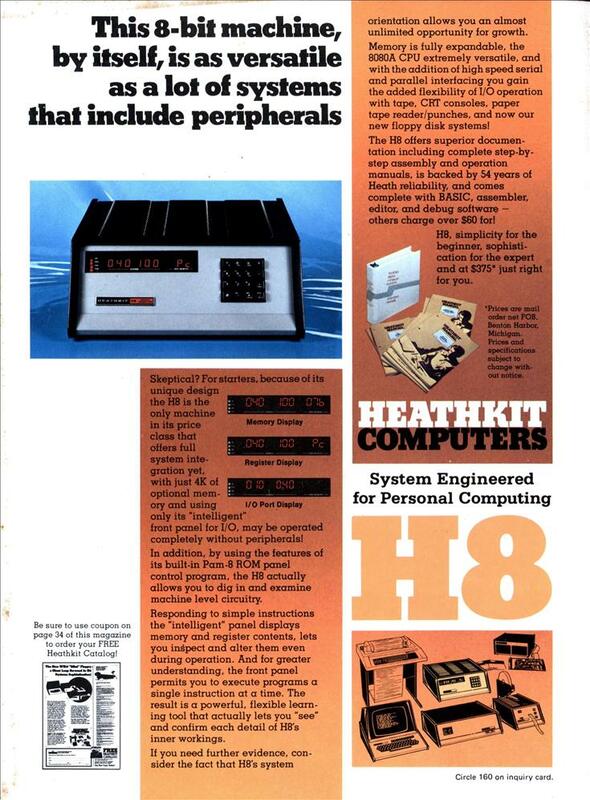 With Heathkit you get to love hate! How did you use BASIC on a computer whose only keyboard looks like the dialling pad of a telephone? Stephen: The H8 had many peripherals, as the ad mentions. It only says “may” be operated without them. Initially you would manually enter a loader, which would load from paper tape, or have a “monitor” on ROM, whch would have a tape loader routine, or a hardware interface that directly loaded a tape program into program memory. Better, a PROM with BASIC or another language programmed in. 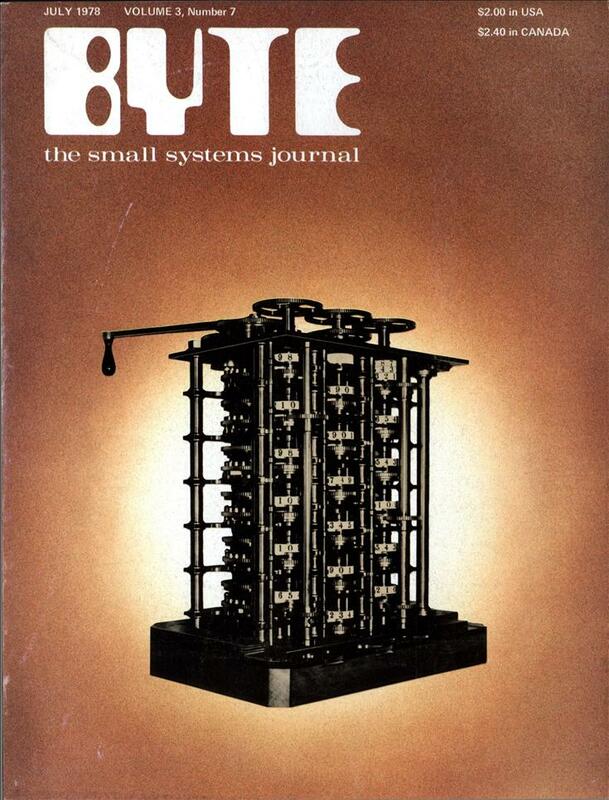 It would have routines to access a magnetic tape drive.